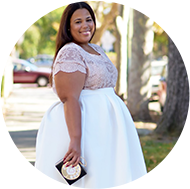 Spring/Summer's Nautical Looks for the Curvy Girl! 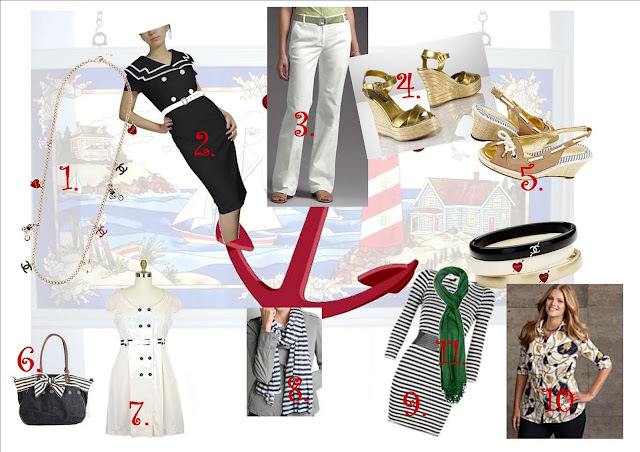 A look that is always marked as trendy for the Spring/Summer, but is very much a classic look is the Nautical look. (I love this suit from Michael Kors!!! )Americana designers seem to use it almost yearly and the trinkle down effect has retailers taking suite. I personally love this look, because done correctly it can be incredibly clean, crisp, and oh so cute. And if anyone is wondering whether I would be caught dead in a sailor dress...you can put that question to rest...the answer is YES!!!! So curvy girls ditch your notion against wearing horizontal stripes, because a boatneck striped cotton shirt is a piece everyone should own, in my opinion. All the Spring/Summer looks aren't out yet, so I put together some pieces from what have been previewed so far. Have fun and happy sailing. Oh and have you had the pleasure of seeing Chanel's Spring jewelry collection...it makes my heart flutter...I think I will be hitting my manfriend up for the Chanel long necklace with charms for Valentine's Day. Wish me good luck! I love nautical for summer. In fact it the theme of my house every summer. Great looks. Isnt it just so fabulous!